The Wall Street Journal is accused by its employees of attempting to suppress its own story after a senior editor allegedly tried to bury a deep dive into the 2008 global financial crisis and its aftermath. 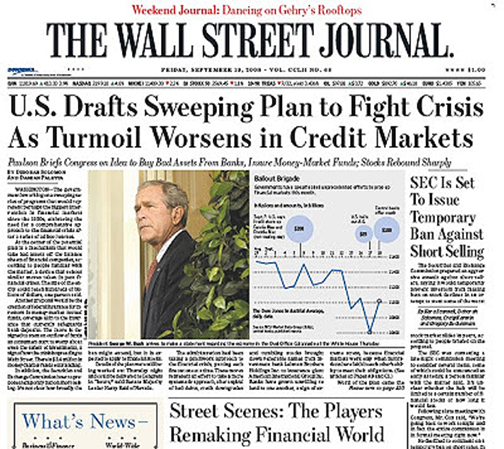 The Wall Street Journal (WSJ) published on Tuesday a graphics-heavy in-depth study on the aftermath of the world-shaking 2008 financial crisis, particularly noting that banking and investment networks — aided by US deregulation — appear to be headed toward another money meltdown, and top-level editors at the paper sought to bury the story because they are afraid of conservative blowback. Although notorious right-wing billionaire Rupert Murdoch purchased WSJ in 2007, staff are now accusing senior management of censorship — particularly with regard to stories about inequality and the apparent failure of the Trump White House to stave off another world financial crisis. On Thursday, in an anonymously-penned email widely shared by WSJ staffers, a senior editor at the paper was accused of seeking to ‘desurface' the story due to what was considered its ‘liberal' leanings, according to Politico. 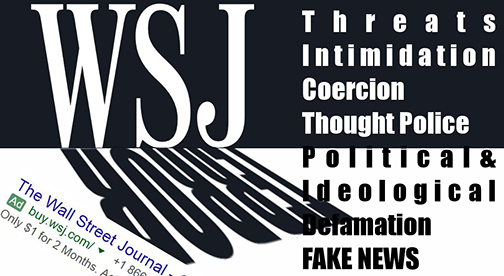 WSJ employees accused "a senior editor" — later fingered to be editor-in-chief Gerry Baker — of burying the story because he did not want to anger his employers or the-powers-that-be in Washington and New York. The email asked staffers to immediately tweet graphics from the eye-opening research — as well as a link to the story — detailing America's halting recovery from the disastrous 2008 financial crisis and, more to the point, data describing a marked increase in economic inequality since that time. 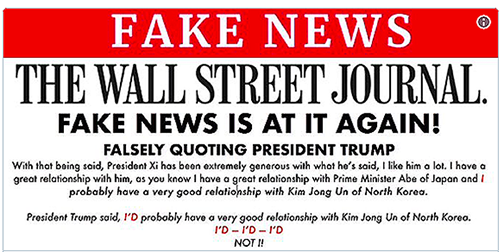 The WSJ editor-in-chief has been criticized for his fawning treatment of US President Donald Trump, particularly in a 2017 interview at the White House, in which Baker gave the impression of being overly familiar with the first family, leading to speculation that the paper's boss was anything but impartial in his journalistic forays. The owner of the paper, Rupert Murdoch, is in regular contact with Trump, according to multiple sources. The anonymous Thursday WSJ staffer email stated that what was happening at the paper could only be described as "censorship." "This week a senior editor at the Wall Street Journal attempted to take a graphic offline because the facts it contained were not politically palatable," the email stated. "When that failed," the message continued, "it was 'de-surfaced,' or, in other terms, taken off the front page and links were removed to it from as many places as possible." 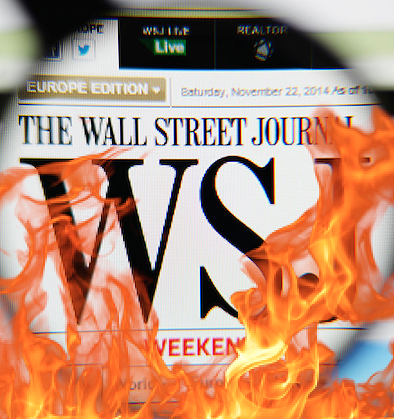 "This is censorship and it is beneath the standards of the Wall Street Journal. It isn't the first time either," warned the anonymous author.